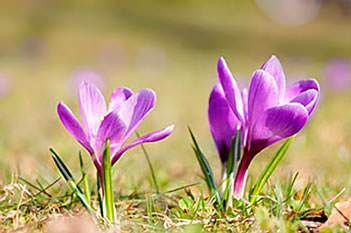 Have you ever seen the crocuses [purple flowers] begin to peep out of the ground in your garden or the park? When they come they tell us that “spring is coming.” Soon the daffodils will wave in the April winds, and the fresh grass will begin to grow. Maybe then we will go for some long walks on sunny Saturdays. We may even have a picnic some bright, warm day. Do you like picnics? In the land where Jesus lived, a boy once went on a long, long walk on a bright spring day. Other boys went too. They went around the end of a lovely lake on which boats sailed. 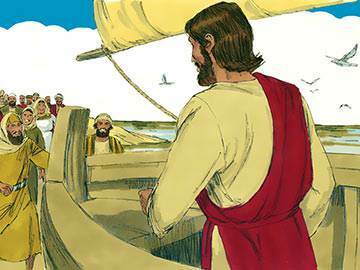 They hurried as they went, for Jesus was in one of the boats, and He was crossing to the other side. Would they be there to meet him? Yes, they got there just in time to see Jesus step out of the boat on to the beach. 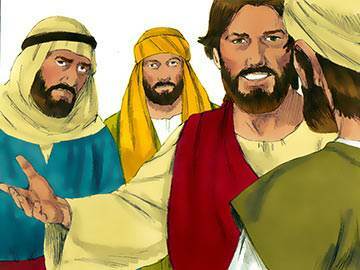 The boy stayed as close to Jesus as he could. Crowds of people gathered, as they always did where Jesus was. 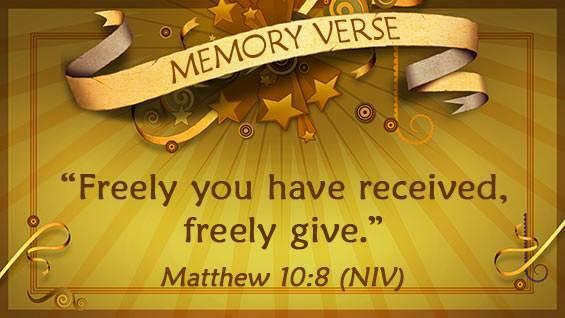 The little boy listened to Jesus’ kind words to them all, and watched while Jesus touched this lame boy and made him able to walk, and that blind woman and made her able to see. The boy was so eager to see and hear that he even forgot he was hungry! 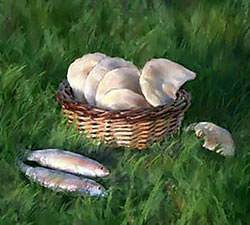 His mother had packed up five little flat cakes of bread, and two little pickled fish for a picnic lunch. They were in the basket that hung from his belt. 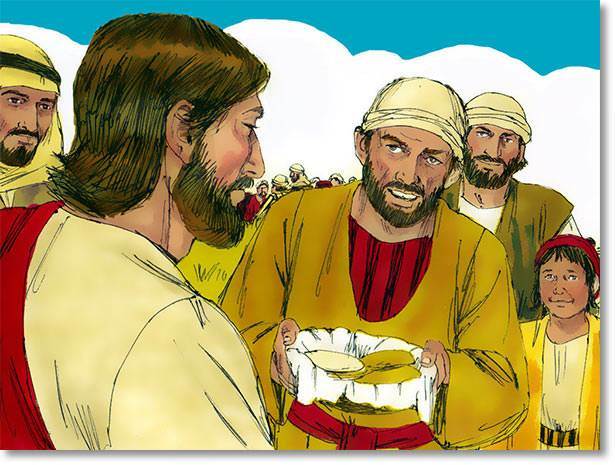 Then Jesus turned to the little boy and said, “Will you give me your lunch?” The boy gave it to Him gladly. 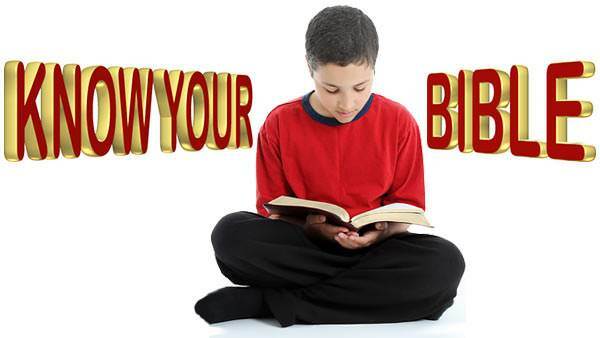 Jesus then told the disciples to make the people to sit down on the fresh green grass. 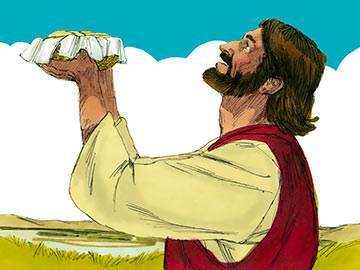 Then He took the bread and the fish, and gave thanks to God for them. 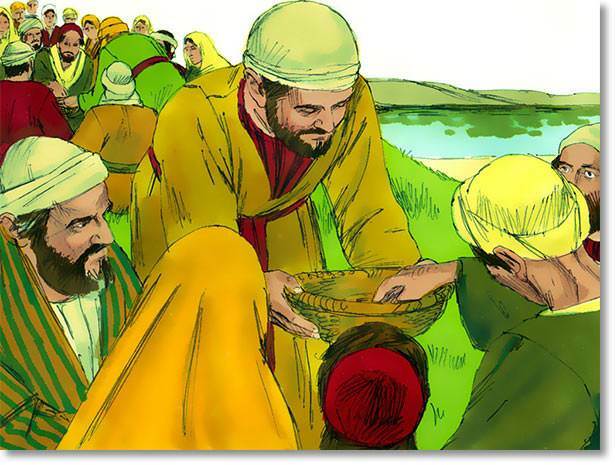 Next He broke the bread and fish into pieces and handed them to the disciples, and the disciples handed them to the people. 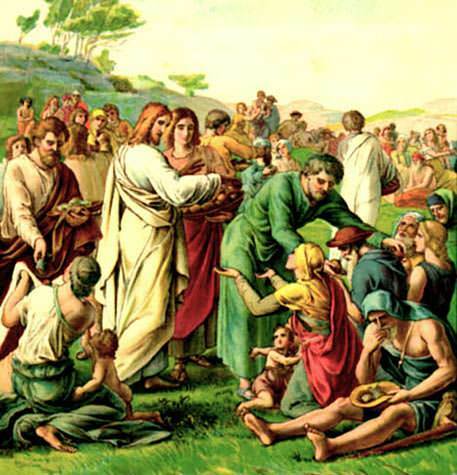 And there was enough for everybody, including the little boy. What a wonderful picnic that was!